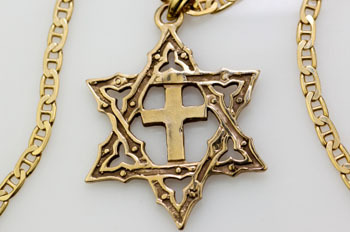 Do you think it’s possible for someone to be both Jewish and Christian in some real sense? This article has been reprinted with permission from JewishBoston.com. Do you think it’s possible for someone to be both Jewish and Christian in some real sense? For example, children raised in an interfaith family who inherit both parents’ traditions, Christians who desperately long to join the Jewish people, or Jews who come to connect with the teachings of Jesus? Traditionally, this is a very easy question to answer, but for contemporary Judaism, it’s much more challenging. Today, it is much harder for Jews living among Christians—often in their own homes and families, not just neighborhoods—to draw clear boundaries between Judaism and Christianity. A few weeks ago, I found myself navigating a tricky conversation with my third-grade class, where two of the students identified themselves as “half-Jewish and half-Catholic.” Choosing my words carefully, I explained to the students that what makes someone Jewish or Christian is mostly what they believe, and not just whom they’re related to, although individuals with Jewish mothers will always be Jewish according to Jewish law, regardless of their beliefs or practices. Judaism and Christianity have many overlapping teachings when it comes to values and morality, but when it comes to theology—what we believe about God—they are not compatible. Jews believe that there is one God, who is distinct from humanity, i.e. not now and never was human, who has many different characteristics but is ultimately One Entity. Furthermore, Judaism doesn’t believe that humans can transcend humanity to become divine, nor do we believe that the messiah has yet arrived. If he or she had, the world would look quite different than it does today. Christianity, on the other hand, believes that Jesus was both human and divine, and that he is the messiah who has come, and then gone, and who will one day come again. Christians also believe that God is both One and Three, though for this question you would have to get further clarity from a member of the Christian clergy. So traditionally, and theologically, the answer to your question is: No, there is no way for someone to theologically be aligned with both Judaism and Christianity. Your question, however, includes three distinct examples, which are not necessarily as black and white as the matter of Jewish versus Christian theology. For children raised in an interfaith family, who inherit both parents’ traditions, their Jewish/Christian identities may have little or nothing to do with belief. The girls in my class, for example, were identifying as “half-Catholic” not because they have any formal education in Catholicism or connection to a Catholic church community, but because their fathers are Catholic. In such cases, I think individuals can—and do—identify as both Jewish and Christian, in that their identities may be deeply rooted in the holidays, rituals and cultures of both religions, regardless of their personal beliefs. My students are formally educated as Jews and don’t believe that Jesus is God’s son, but they, and their Jewish parent, do celebrate Christmas with their Christian parent, who celebrates Chanukah with them in return. Your other two examples are in some ways less complicated, as they are matters of individual choice rather than family affiliation. Christians who desperately wish to join the Jewish people are most welcome to, but they will only be accepted as Jews after a formal process of conversion, which includes a statement of belief. In other words, if a Christian is drawn to the Jewish community but is theologically aligned to Christianity, they will certainly be welcome to participate in the community as a guest, but they will be unable to complete the process of conversion. You will find this to be true across all Jewish denominations—one of the few things that all Jewish authorities agree on! If, however, someone who was raised as a Christian finds that part of why they are drawn to Judaism is that they are theologically more aligned with Judaism than with Christianity, than of course they can, and should, reach out to a rabbi to discuss the possibility of conversion. Jews who connect with the teachings of Jesus may or may not find themselves considering conversion to Christianity. Again, if they find that the teachings of Jesus have led them to believe that he was not just a human historical figure but also someone of a divine nature, they are more theologically aligned with Christianity and may wish to convert. 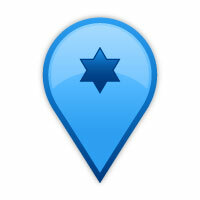 (For the same reason, “Messianic Jews” are not considered part of the wider Jewish community). However, Jewish law is clear: once a Jew, always a Jew. Someone who is born Jewish but who converts to Christianity becomes an apostate (in Jewish legal terminology), but they can take steps to return to the Jewish community at a later time should they wish to do so. The Jewish community cannot turn such Jews away, although rabbis may have different requirements for their reentry depending on denominational ideology and understandings of Jewish law. For a Jew who is drawn to the teachings of Jesus but only in that he was an interesting historical figure with valuable things to say, their status in the Jewish community is not and need not be in question. There is nothing wrong with someone who is Jewish reading and enjoying the teachings of Jesus, Buddha, Muhammad, Gandhi, Martin Luther King Jr. or any other historical figure who preached about equality, justice, spirituality and human nature. Jewish tradition does not advocate for the study of Judaism to the exclusion of other teachings. All wisdom and knowledge is valued. Reading and connecting to the teachings of Jesus is also a great way to engage in dialogue with our Christian neighbors and family members, and I would hope that this is something that most rabbis would encourage, rather than discourage. Judaism and Christianity are not theologically compatible, but Jews and Christians live among each other in contemporary Western society, often in the same homes. The cultural and educational overlap is undeniable. In short, there are ways of valuing and participating in both religions, but it is not possible to believe in both Jewish and Christian theological doctrines. Rabbi Emma Gottlieb serves Temple Beth David of the South Shore. Do you want to learn about another perspective on this question? You can read about the beliefs of a local congregation that belongs to the movement of Messianic Judaism here. Jewish Boston is, well, a website about Jewish stuff in Boston. At JewishBoston.com you can find an immediate connection to all the amazing Jewish things that are happening in Boston right now. Discover links to cultural events (music, dance, film, lectures, cooking classes), Jewish education (courses, lectures, trips), organizations (synagogues, community centers, professional networking) and lots more.